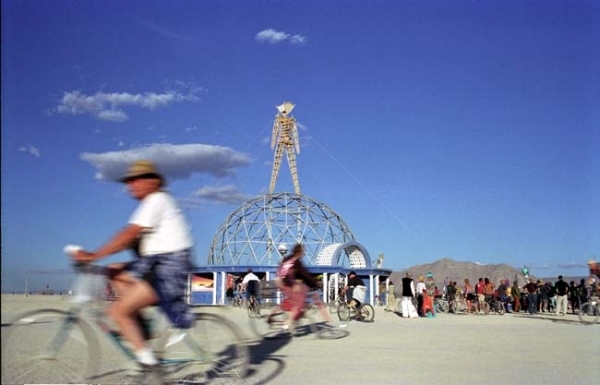 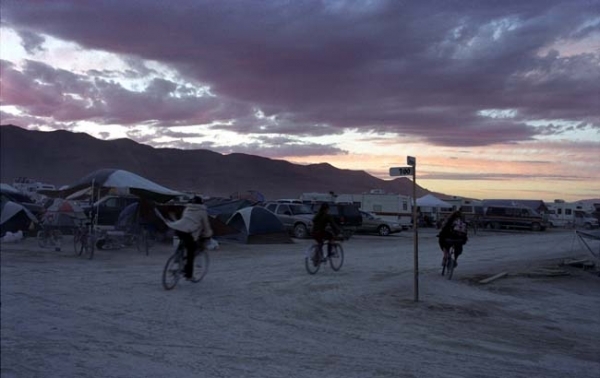 It’s that time of year again – time to burn the man in Black Rock City, Nevada, USA, a city that springs up over night and becomes home to 60,000 residents for one week only. 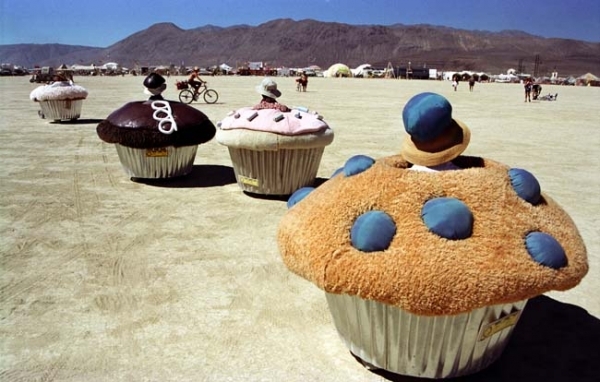 This time eight years ago I was a ‘burner’ at the world’s wildest, weirdest festival of self expression, art and music. 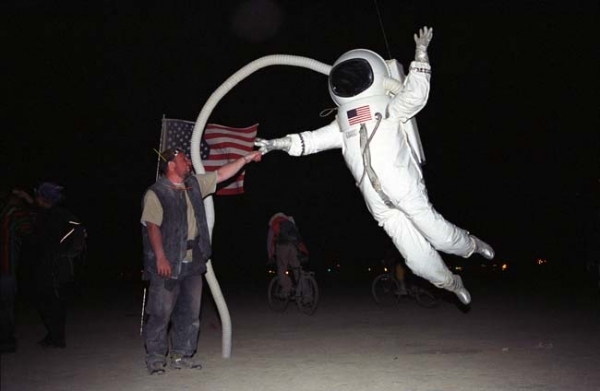 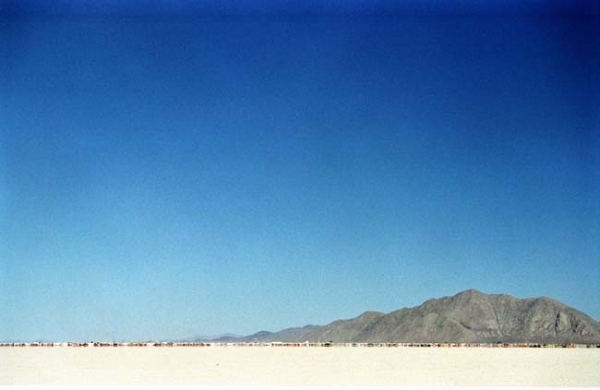 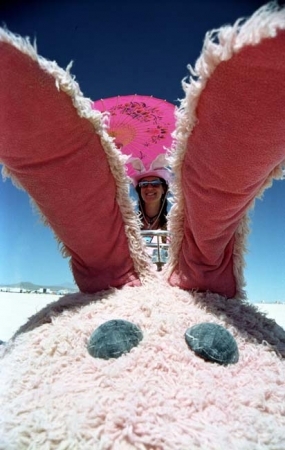 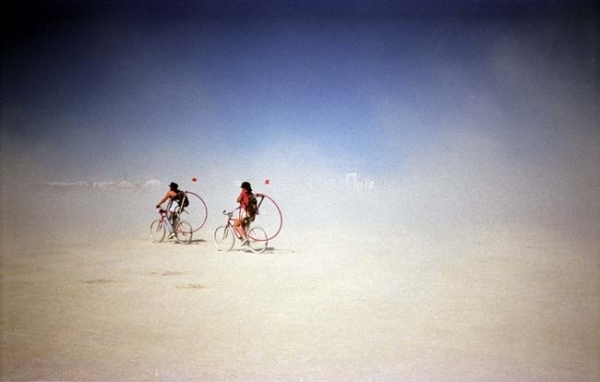 As Burning Man gears up for it’s 26th burn I’ve dug out my photos from 2004, commissioned by BBC Top Gear magazine. 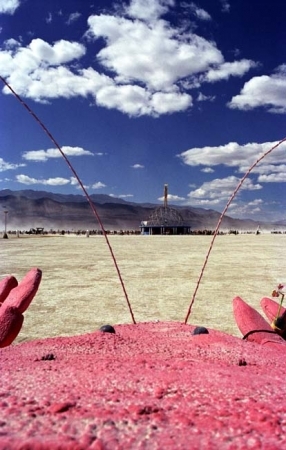 I scorched in the 40 degree heat, froze in the sub zero night time temperatures, was whipped by fierce winds and sand storms, hitched a lift with a lobster, chatted to ladies perched atop pink rabbits and chased cupcakes across the desert. 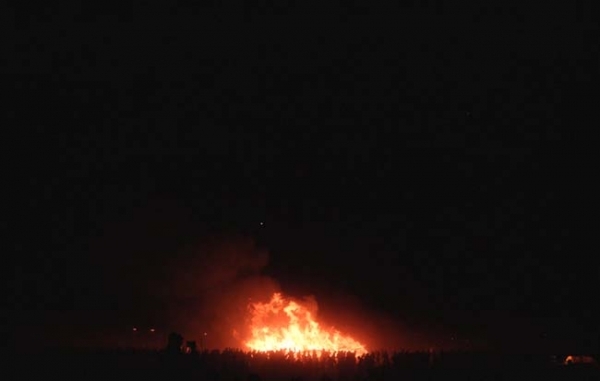 And of course watched the man burn – with an astronaut.